Well hello there, I didn’t see you come in (this works better if you picture me in a high-backed leather chair and smoking jacket). Some of you may already know me from places such as my escorted tour company, Great Explorations Tours, the Disney beer blog Beers And Ears, and the wonderful Disney blog Disney On Wheels, but some of you have undoubtedly opened the window into my weird world for the first time. If you want to know how I write (and talk), just take a gander at that first sentence again; I love off the wall references and I love what theatrical types call “asides,” which manifest themselves as lots and lots (and lots) of parentheses. Who am I? All you need to know is that I love to travel, I love to plan travel, I love Disney, and I am an analyst (as in I analyze data relationships, not that I’m really ana…you know what, let’s move on). 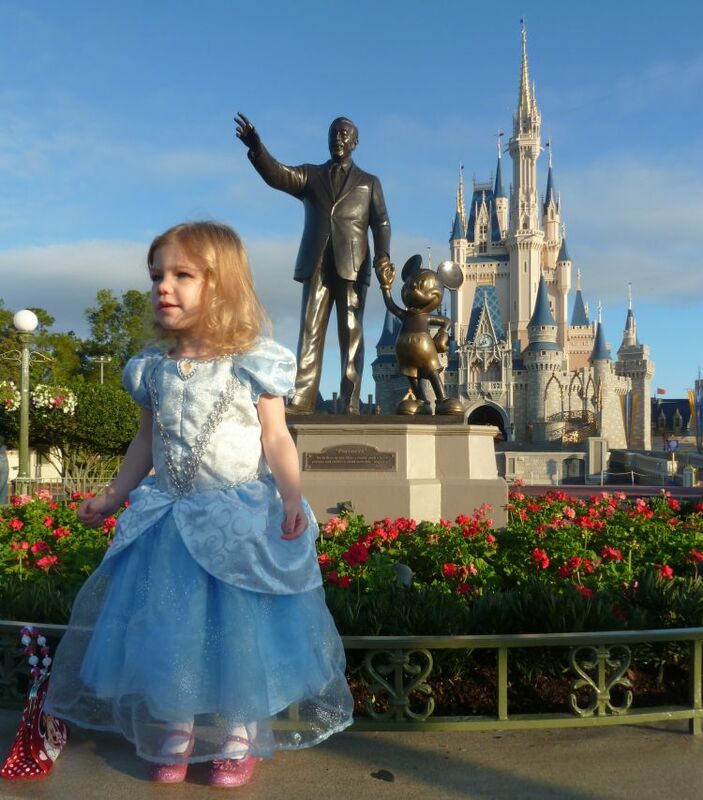 I’ve been graciously invited to post on this blog (after only a little bit of begging and crying) in a variety of topics, but the one I’m going to start with is one that is close to my heart; touring Walt Disney World with a toddler. You have probably guessed this, but I have a toddler. My daughter is about 2 ½ years old and yes, I am completely under her spell. Of course, as a Disney nut, the best way I can think of spoiling my little girl is to take her to Walt Disney World (I also have a son that is about 1 week old, but he won’t be at Walt Disney World until he’s almost 2 months old…the horror!). The only problem is that none of the 4.7 million Touring Plans on this site are readily applicable to a toddler. Now I’m not blaming the fine Touring Plans folks because at 1 and 2 years old, all kids are a little bit different (and because they would kick me out of here faster than a Droid user on Betamouse). 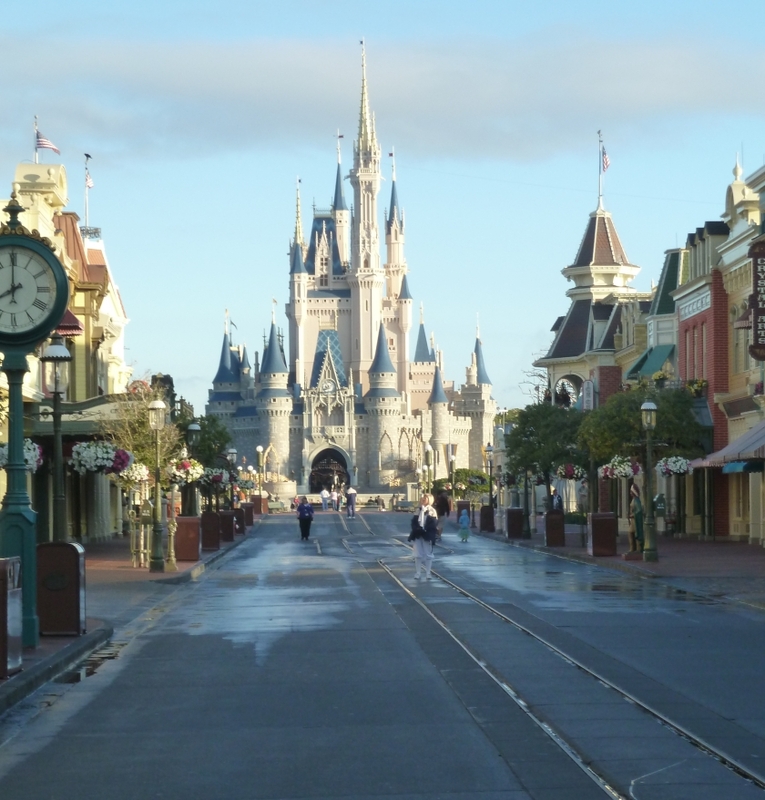 Since it is almost impossible to develop a standard plan for touring with a toddler, I’ve decided to go step by step through the Magic Kingdom Two-Day Touring Plan for Parents with Small Children and point out changes that I would make as well as things parents should be aware of. Here’s your one and only warning: I write a lot of words…this will be long. – Rest, rest, rest. I recommend this to everyone, but with a toddler it is mandatory (yes, mandatory, don’t argue or it’s time out for you). You know all those kids you see freaking out and crying in the parks? 97.4% did not get a proper night’s sleep or a nap, and you can’t fight science. – I’m assuming you are familiar with the attractions mentioned, but if you are not click the links provided to read about them. – Crowd leves will change the below plan. On low crowd days you can play very fast and loose with a touring plan (although it’s still a good idea to follow the basics). However, on a busy day, you will need to be a little stricter. Check the crowd calendar to see the business. – If the adults want to ride things such as Space Mountain they will need to squeeze those in somewhere (most likely utilizing Fastpass). I don’t have them in the plan, but I recommend sending one adult to get all the Fastpasses as early as possible and using them at your convenience later. – Strollers: I am assuming your child will not nap in a stroller (as mine won’t). If they will, then you may have to take some time out for naps, but I still recommend a real rest at the resort rather than an uncomfortable quick nap. It will help everyone, not just the child. Okay, so here is my adjusted plan, which you can have for a very minimal charge (…okay, okay, my assistant manager says, just this one time, I can give you this knowledge for free, but don’t get used to it). Along the way there will be tips, advice, and smart-alecky comments…enjoy. 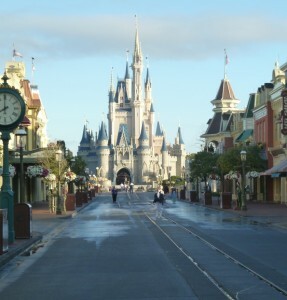 Step 1: Arrive 30 minutes prior to Magic Kingdom opening – If you can, this is the best advice under any circumstances. However, I do not recommend waking a toddler up early to get there unless you are visiting on a particularly busy day. Now, if your little one sleeps until 10am, then you’ll probably have to wake them up, but if they sleep until 8 (like mine) and you’re still getting to the park within 30 minutes of opening time it’s not worth the increased “tantrum probability” of waking them up. Step 2: Dumbo the Flying Elephant – Can’t argue with this one, this line gets wicked later. There is also a tip on how to allow a child with two adults to ride twice in quick succession that is fantastic (and works), but you’ll have to check out the Dumbo-or-Die-in-a-Day plan for that (legal note: Your child will most likely not die from not riding Dumbo). Step 3: Peter Pan’s Flight – Again I am in agreement. This is a very nice ride, but there is no way I would wait 50 minutes with a little one for it. Do it early or FastPass later. Sidebar: Peter Pan is a good test for the kids because it is a dark ride, and a dark one at that. If the toddler is not scared by the darkness of Pan, then you can go ahead and try some of the other dark rides. Step 4: The Many Adventures of Winnie the Pooh – This was one of the attractions that my daughter really loved, even though she didn’t really know Winnie the Pooh. It’s fun and interesting and very repeatable for a 2 year old. The problem is that the line may get long in the afternoon. Disney has instituted two ways to manage the Winnie the Pooh line: Fastpasses (which are currently near Mickey’s PhilharMagic) and the interactive queue. I always love a FastPass, but I’m not crazy about the new queue (for toddlers anyway). The games in it would be difficult for such a little one and the idea behind the queue is that the parent stays in line while the child plays, which is not an ideal setup unless there are multiple adults. My recommendation is to ride early and grab FastPasses when you get close to PhilharMagic for later. Step 5: Mad Tea Party – My daughter loves this attraction…my stomach does not. Do it if you can and more power to you. Step 6: Obtain Splash Mountain Fastpass – This one is most likely getting skipped because very few children under 3 will meet the 40” height requirement. If they are tall enough, they will probably love everything up to the drop. It will be much more difficult to get them to ride this the second time than the first…ignorance is bliss. If you are skipping the Splash Mountain FastPasses, you can go ahead and grab the Pooh passes for later (hmmm, Pooh passes sounds like something I needed to get to the lavatory in grade school…I know, bathroom humor…booooo). Step 7: Tom Sawyer Island – This is a parent’s call because it is a wonderfully relaxing place to let the kids run, but if they are too young to do so by themselves it may not be worth the trip. If you are planning on more than two Magic Kingdom days, I say go. If you are doing two or less make the decision based on your energy level and your kids. Step 8: Country Bear Jamboree – A lot of people love this attraction, and I am not one of them. Toddlers won’t get the humor and will probably find the old-timey country music boring. So if the fascination of talking bears won’t get them through, don’t bother. Also…blood on the saddle? Try explaining what that means to a 2 year old. Step 9: Walt Disney World Railroad Frontierland Station – The train is a must do with a small child if for no other reason than the time off of your feet. Plus, kids like trains. Step 11: Lunch – I love lunch…I’m also a bit chubby; those two things may or may not be related. Step 12: Break – As I said above, this is important. Even if your kid is doing great; don’t push it. You may be one “no honey, we can’t buy that Duffy bear” from the Three Mile Island of emotional breakdowns. Step 13: Return to Magic Kingdom – I strongly recommend this step, I have always found it really hard to see the rest of the attractions if you don’t re-enter the park. Step 14: Obtain Mickey’s Philharmagic Fastpass – I don’t agree with this step (sorry Len, don’t hit me…again). I can’t remember the last time I had to wait more than the duration of one show for this, so a Fastpass is probably not necessary. Instead, get more Pooh passes if your toddler liked that or grab some adult passes for a ride you want to go on. Step 15: The Hall of Presidents – This is another attraction that you should skip with a toddler unless someone in your party needs a nap or the kid needs to eat. They won’t get it, won’t care to get it, and you’ll probably leave early. Step 16: Liberty Square Riverboat – Riding on a big boat, nothing wrong with that. Step 18: it’s a small world – Unfortunately for you, your small children will probably love this. That means that you may be on this multiple times, so start prepping yourself now. Here’s a tip: if you bring some snacks into the park for your child, this is a great attraction to snack on due to its length and calmness. Adult tip: I can get a cell signal in there, so it’s a great time to check on email or look up lyrics to songs that don’t fill you with rage. Step 19: Prince Charming Regal Carrousel – Oh yes. If you actually managed to walk by this one before without getting dragged onto it, do it now. 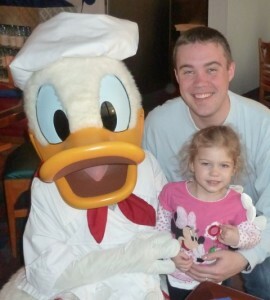 Step 20: Mickey’s Philharmagic – I love this attraction and was pleasantly surprised that my daughter did too. The 3D glasses will be hard to wear for some small ones, but if they can manage it the show is relatively short, entertaining, and fun. SPOILER ALERT: During the Fantasia mops scene water splashes out of the vent in front of you. If your toddler won’t like it, cover the vent with your hand when you see a mop dancing. 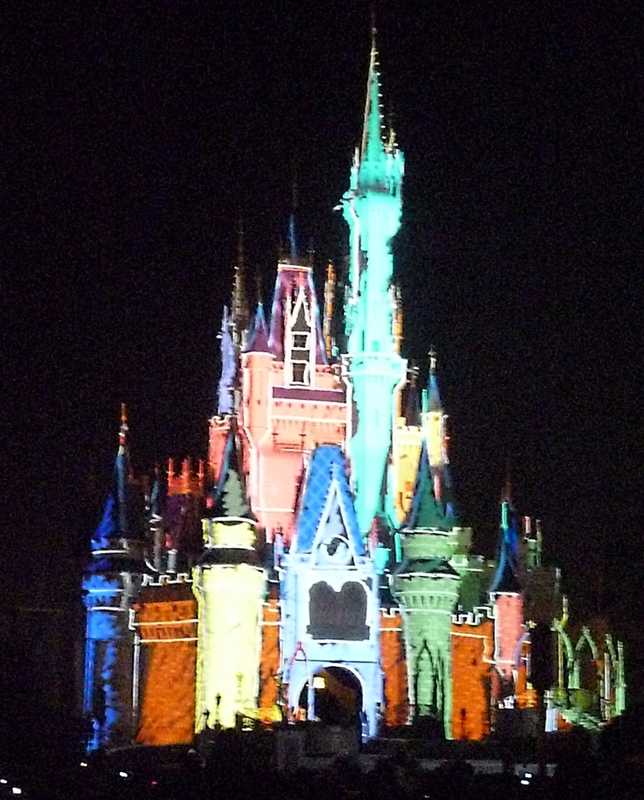 Step 21: Evening Parade / Fireworks – The Main Street Electrical Parade is currently running as the evening parade and all little ones will love it. With lights, music, dancing, and character it is a winner. The fireworks on the other hand are very child dependant. My daughter loves the idea of fireworks, but her response is usually that she wants to stop, which is exactly how I feel about running (did I mention I was a bit chubby). Step 22: Depart – Go back to the resort, get a good night’s sleep and get ready for day two of the plan. Okay, so instead of jumping into day two right away, I’m going to cut myself off here and make you wait until another time (in show business that’s called ‘talking too darn much’). In part two, I’ll run down day 2 of the touring plan, give you a list of attractions that are easy to ride multiple times, give you some ways to deal with kids not sticking to your plan, and break the news that Darth Vader is indeed…my father. Thanks for reading. Part 2 will be available on Monday, July 11. Brian McNichols is a tour operator, Disney-focused travel agent, and all around awesome person (or so he says). If you have any questions, comments, sarcastic jibes, or colorful limericks please feel free to add them below. Brian can also be found at Great Explorations Tours, on Facebook as a Travel Agent, or on Twitter @brian_mcnichols. ← What’s in a Lines Update? I just wanted to comment on how much I enjoyed your article. It was very well written- humorous, yet informative. Thanks for the article Brian! My sister and I were just pouring over touring plans last night to find the best one for touring with a 3 YO, two 8 YOs, and a 14 YO in September 2011. Look forward to reading part 2. Hi Brian. Loved that article. We travelling in 6 weeks with a 2 1/2 year old and a 15 month old. Your advice is spook very practical and must agree with you on the tea party, my tummy can’t tJe it either. Annette – I’d love to hear how your trip goes! We will be traveling in October with an almost 3 year old and 16 month old. Worried the two little ones are going to over power us, but luckily going at a slow time. Have a great trip! Loved the article. Thanks for making me laugh while informing me! Can’t wait for part 2. Thank you everyone, you have filled me with confidence (that I probably didn’t need). I’m glad you enjoyed it. Good plan. I think along with it as I have discovered the last three years taking my almost 6 year old is that park hopping is not worth it unless you have your own transportation. 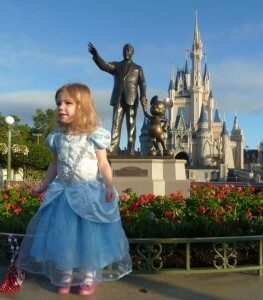 It just takes too much out of 2 – 5 year olds if you are relying on Disney transportation and park hopping. Not worth the money to try it. Great post, Brian. I started a similar series on my personal WDW blog a week or so ago (we have a son who will be 3 at the end of this month, and he’s been to WDW several times). People don’t realize how many of the attractions a toddler can do (and will enjoy). Agreed on the Park hopping comment above for transportation reasons and for the need to take a break/nap from the parks when you are touring with young children. While your touring plan may not be as fast-paced with a toddler, you can still see and do just about everything. just wanted to mention that some of the 3D movies might seriously freak out a little kid. when my son was 2 1/2, we lasted exactly 8 seconds in Mickey’s Philharmagic before he was sobbing and begging me to get him out of there. I SO loooooooved the article can’t wait for part 2!!!!!! I liked your article and am looking forward to the second part. I’ve been planning our first trip with the kids to WDW (they will be 2 and 6 when we go) and I’ve modified the basic touring plan to suit our needs. I noticed from attending a local theme park that the most we can usually fit in (with two youngsters and short lines) is about two rides every hour. So I can’t see us getting through more than five or six attractions before we have to break for lunch and nap. Is that about right for MK as well? We’re planning on being there on low-attendance days. Also, I’m curious about the best way to fit in the Rapunzel meet and greet in a morning tour of Fantasyland (9 a.m. park open). If you’ve tried that, what was your experience? Hi Holly, thanks for reading. I’ll start with Rapunzel: You should deal with that early, preferably by getting to the park pre-opening and getting to the meet and greet area as quickly as you can manage. The problem with Rapunzel is that there’s a short interactive “show” prior to the normal autographs and photos. That means that if you don’t get into the first “show” you may have to wait 30 minutes extra (or more). If you are in the Magic Kingdom on a busy day and if you have more than one day at MK, do Day 2 of the plan (coming Monday) whatever day you see Rapunzel. If you only have one day, you may want to try skipping the first 2-3 steps and leaving them until the end of the day if the Dumbo-Peter Pan lines are already long. As far as ride quantity, 2 per hour seems low. I find the time consuming part is traveling between the rides (since the plan is so you can avoid the lines). If you are traveling between Jungle Cruise and the Teacups I can see that taking 15-20 minutes, but for the Peter Pan-small world-Philharmagic-Carrousel-Dumbo-Snow White-Pooh corridor in Fantasyland we’ve done all of those in about 2 hours on slow days. Thanks. That’s very helpful. It does seem that most of our time at the local theme park is spent walking between rides and waiting for loading/unloading (I’m certain that Disney is going to be more efficient at getting people on and off the rides). I was planning on doing MK in two days with one morning entry (Fantasyland, Tomorrowland and hopefully breakfast w/ Cindy) and an afternoon entry the second day (Adventureland and Frontierland) so we can sleep in at least one day on our vacation. Rapunzel is important to the kids, so I was trying to figure out a way to fit her into our morning in Fantasyland and still hit the Dumbo-Pan-Pooh trifecta without long lines. I think our crowd prediction on our morning MK day is under a 2. If your crowd level is under 2, you don’t have too much to worry about. Dumbo and Pan will still get medium to long waits, but not until the afternoon. Try to get Rupunzel firt thing, then go with the plan. If you have any other questions, you can email me at Brian@DreamComeTrueVacations.com too. It’s my travel agent email, but you don’t have to book with me for me to talk (type?) your ear off. I can help with those Cindy reservations too if you want. I would add that sometimes the 3D for kids is a lot less intimidating if they don’t wear the glasses. Usually they still enjoy the music even if the picture is a little fuzzy. I do have to say that the last few times I’ve been to Disney, I notice that smart phones are ruining dark rides. They’re getting bad as people with flashes. I know that getting a signal from AT&T is difficult is Disney, but I discourage people from lighting up their whole smart phone screen during Its a Small World to check their email. Turn off the fun and sing along! LOVE your writing style! Do you have your own blog, or do you just guest blog on the two you mentioned at the beginning of the article? I loved this blog, super funny and helpful. I like the real-person experiences as an example of what to do…or not. I’m obsessively planning my first trip, 2 years in the making! And I love to hear first person accounts especially when I feel I won’t be the only one looking forward to lunch…and honestly the naps will be for me!! I’m looking forward to reading all your posts, thanks for sharing your stories! Great article!! We just moved out of the toddler years, and now are in the middle of preschooler-hood. 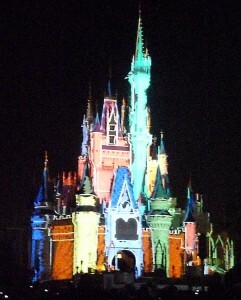 But still…very similar WDW plan of attack~! I just wanted to add one though…and maybe you have it in there but I didn’t see your comment…and that is about the Rider Swap system. Just because you have a small child with you doesn’t mean you can’t enjoy the big rides. Rider Swap is even more effective during the busier seasons, but works at any time. What you need to do it go up to the Cast Member at the gate of your ride (sometimes at the main gate, sometimes at the Fast Pass gate), WITH your small child and other adult (spouse) and ask for Rider Swap. They give you a ticket, which allows you to ride WITH your bigger kids…and when you get off, you give it to your spouse, who can then take their turn, but will be able to enter through the Fast Pass lane (even without a Fast Pass), not having to stand in a long, long line. AND…your other children can ride the ride AGAIN with your spouse. It’s a great system, very family friendly. The one place it is a bit of a pain is in Epcot at Soarin’, where the child has to be brought all the way into the building…and of course, said child is usually asleep in the stroller and has to be awakened. But they do all need to see the child, to be sure you aren’t scamming them. I wanted to make a comment on the rider swap. We used it a few times on our trip last week, and mostly I was unhappy with it. Soarin’ took an hour for both of us to ride. I had a fastpass and rode first. I thought we would be able to wait together in the line, and do back-to-back rides, but instead, my husband had to wait outside the ride and wait for me to come back before he could get in line. Then he went in through the fastpass line and rode. I know when I was waiting for him, 2 or three shows came out before he got to ride. I think you are a really good writer. I found this rather accidently, but will use it whiles taking our next trip. We have two older kids 9 and 7 and a one-year-old and are trying to make all 3 girls happy while at the parks. What?s Taking place i’m new to this, I stumbled upon this I’ve discovered It positively useful and it has aided me out loads. I’m hoping to give a contribution & assist different customers like its aided me. Great job. Hi there, I discovered your website by the use of Google even as searching for a similar topic, your website got here up, it seems good. I have bookmarked it in my google bookmarks. Hello, Neat post. There’s an issue with your website in internet explorer, might check this? IE still is the marketplace leader and a large element of people will leave out your wonderful writing because of this problem.